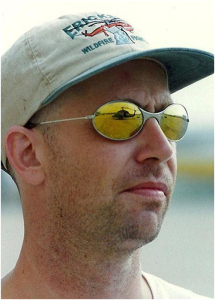 Bio from ASMSG League of Writers: Nic Taylor grew up in Penzance, Cornwall and spent these formative years either hanging out on the beach surfing and diving or taking photographs. At the age of 20 he talked himself into a job as an architectural assistant with a prestigious practice in London and spent the next seven years designing banks and partying in the city. By the age of 27, the wander lust hit him and he headed off to Montego Bay in Jamaica, where he both ran a diving school and freelanced as an architect for hoteliers. He also diversified, into the moving picture industry to eventually shoot several short films and documentaries including Burning Earth for the Discovery Channel. How old were you when you wrote your first piece? What was it, and in what genre? I wanted a say on various subjects; namely the corruption that is happening within our government and police force and the attitude and actions of certain newspapers and their owners. Rather than write a blog I decided to fictionalize what I wanted to say and write it as a novel. Last week I noticed a comment on Amazon discussions along the lines of that I should be careful, otherwise I’m likely to disappear, must have hit a nerve somewhere. What have you written since then? I have outlined four book ideas, two of which stemmed from ‘A Plague of Dissent’, continuing and expanding upon the story of several of the characters. The other two are also thrillers, one called The Hope and the other which I working on at present called The Blogger. I’m working on a book called The Blogger which is inspired both by a discussion I had one night with my eldest son and from a Facebook wall I came across; the location and the occupation of the person that wall belonged to intrigued me. I lay awake all night on Christmas night, after taking care of and cleaning up after my eldest who had the Nora Virus when an idea came to me, i.e. how to tie the two together and so I have been developing that idea. Tell us a little about it, and where it’s available. It starts off with a guy sitting at his computer, working on his blog late at night when there is a knock on the door. On answering it he is pushed back inside, beaten and tortured, narrowly escaping being killed by the timely arrival of a police car, the police having being called by a neighbor that had witnessed the man being forced into his house. Whilst recovering from his ordeal our blogger protagonist attempts to work out why this happened to him but is at a complete loss, he really cannot fathom why this happened nor explain it to the police, who believe it to be about a drug deal gone wrong. It will transpire that what happened to him is because of a girl; he had recently been seeing who he meet via Facebook was not just the Iranian nuclear physicist she claimed to be. Is there a particular place or setting where you get your writing ideas? No not really, they come from many places, TV news, internet, a passing conversation and things that have actually happened to me or people I know. What made you choose either traditional or independent publishing? I went with traditional publishing as I know nothing about publishing and therefore decided to use a publisher who I thought should. I may have been wrong in that assumption. If you had to choose the most important element in an author’s platform, what would it be? What mistakes have you made in regards to publishing and marketing your work, and what will you do differently in the future? Do you have an idea for your next book? 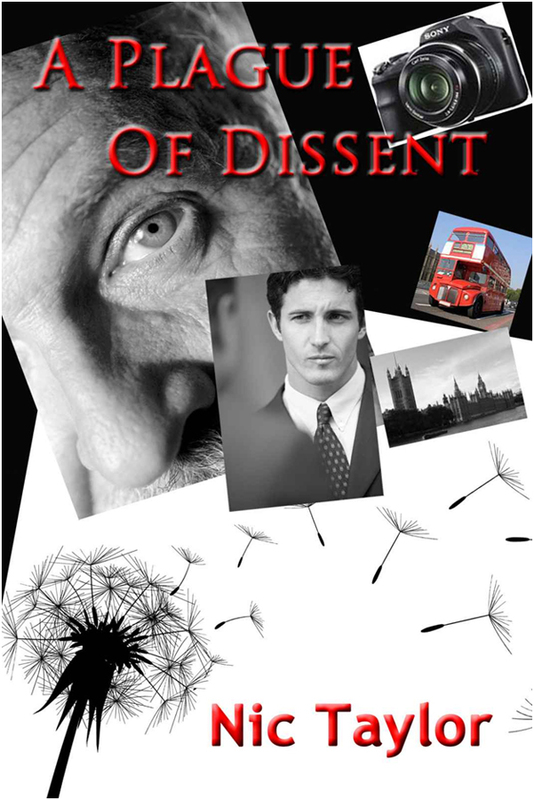 Synopsis: A Plague of Dissent: A fast paced thriller, bursting with political intrigue and corruption. It paints a picture of the UK, where media companies hack into personnel communications at will, in search of their next headline. Of politicians lining their pockets with falsified expense claims and crooked practices operate within the police force. Where government contracts can be bought and sold by those that have the Prime Ministers ear; that to, also on sale for the right price; with banks and corporations making millions at the expense of the man in the street. A story of greed and corruption; where riots and civil unrest are turning the country upside down and a small group of men attempting to use this anarchy that is spreading across the country to further their own agendas. Into this nightmare scenario are dragged a young man Adam, his girl friend Isobel and his brother Dan. They are pursued by the faceless men who believe they are party to information that could comprise their mission and have two choices, to run or, to turn and fight for their lives. I just love it when the first page of a book grabs me by the throat, gets my heart pumping and terrifies the hell out of me. That’s exactly what Nic Taylor did in A Plague of Dissent, and by page 3 we had our first dead body. Everything just went to hell in a handbasket from there. Political corruption, mobsters and their minions, and a media hell-bent on destruction came into and out of this very strong story. It kept me constantly on my toes. One minute I thought I could trust a character and the next minute, I wasn’t quite so sure. The brothers, Dan and Adam gave me a serious case of hero-worship, despite the fact that I was afraid they were in further over their heads than they imagined. This tale could easily have been ripped from the current news. Taylor has delivered a whopping good tale that kept me in suspense right up to the end. His masterful prose and intimate knowledge of crime fighting in the UK is on par with Ian Fleming. Every scene is so well described, throughout, that I felt like I was right there. It’s a consummate storyteller that he is! I cannot recommend this book too highly. If you’re a fan of breathtaking thrillers, pick up Nic Taylor’s A Plague of Dissent today! *I received an electronic copy of Taylor’s book for review purposes. This entry was posted in Author Interviews, Books and tagged author, book, Interview, literature, reviews, writing. Bookmark the permalink. Thanks for the ping back, Tom!